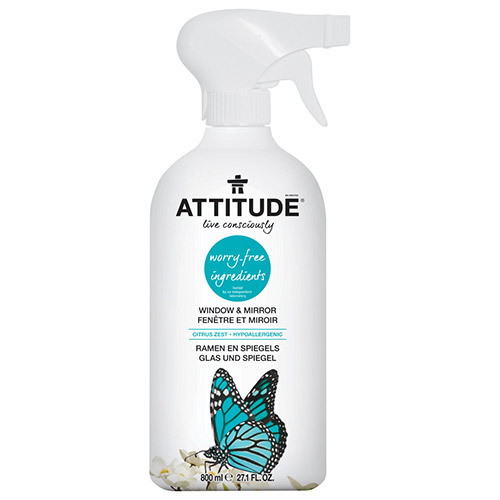 ATTITUDE’s Window & Mirror Cleaner keeps all the glass around your house clear and clean! Made with plant and mineral based ingredients to ensure your glass surfaces stay streak-free and worry-free. Aqua / water / eau (>30%), propanediol (<5%), caprylyl glucoside (<5%), myristyl glucoside (<5%), triethyl citrate (<5 %), sodium gluconate (<5%), raspberry ketone (<5%), avena sativa kernel flour (colloidal oatmeal) (<5%), allyl caproate (<5%). Shake well before use. Spray and wipe. It is recommended to test on an unnoticeable area and to avoid irritants or exacerbating factors (such as harsh detergents, solvents or acidic foods). 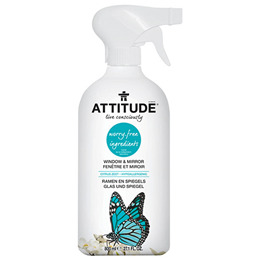 Below are reviews of ATTITUDE Window & Mirror Cleaner - Citrus Zest - 800ml by bodykind customers. If you have tried this product we'd love to hear what you think so please leave a review.